for $589,000 with 5 bedrooms and 3 full baths, 1 half bath. 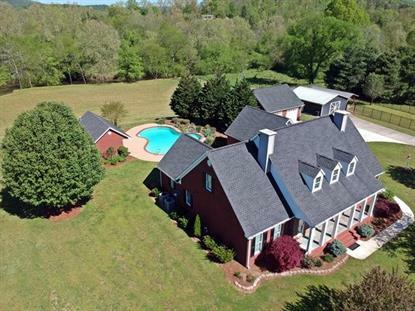 This 3,360 square foot home was built in 1999 on a lot size of 5.54 Acre(s). Located in historic Wildwood, GA on Lookout Creek, 5.54 acres set the scene for a beautiful, custom-built home at the foot of Lookout Mountain. Enter the foyer on gleaming hardwood floors. A formal dining room leads into the breakfast area & kitchen furnished with Viking appliances, great for entertaining. A brick fireplace is the focal point of the living room, nestled between 2 sets of patio doors to the back porch. The pool is only a few steps away! The master has an ensuite double vanity, his/her walk in closets, soaker tub & tile shower. 2 bedrooms, a full bath & 1/2 bath complete the first floor. The second floor has 2 bedrooms, ample storage, bonus room & bath. An attached garage & detached garage hold 4 cars & storage with a small barn & fencing for pets. 25 minutes to downtown!